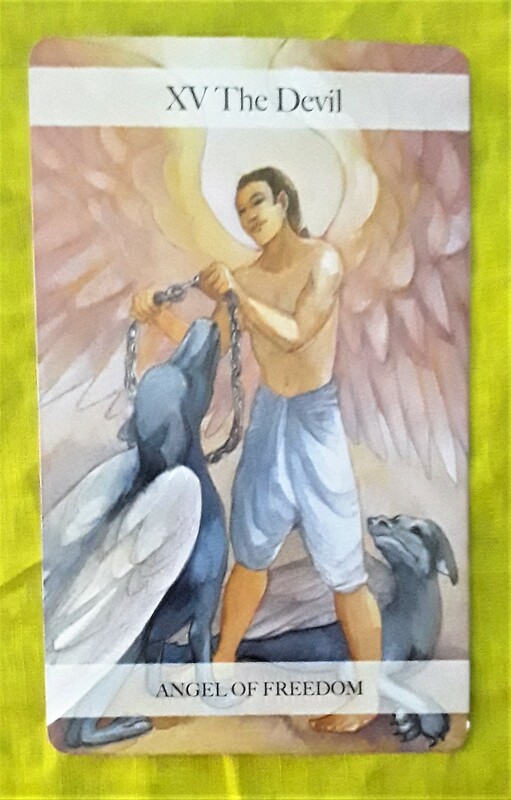 The Tarot card for today is the Devil (Angel of Freedom). Yesterday, we talked about home being where the heart is. But have you considered that the devil is something we create to torture ourselves? Fear, shame, guilt … these are emotions that take away our power and put us in a type of hell. If you have these feelings, give them a long hard look to understand where they came from. Forgive yourself for having these feelings — it’s ok to be human and vulnerable. Be gentle, keep at it, and over time, you will free yourself. Hi, all! 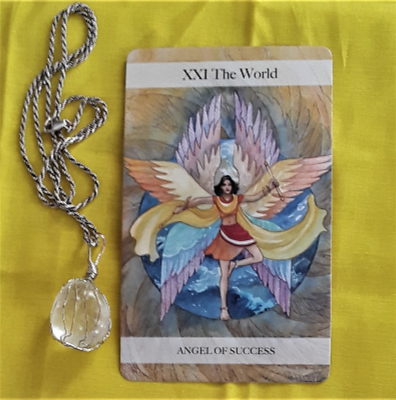 The Tarot cards for today are the Devil (Angel of Freedom) and the Star (Angel of Hope). The Devil card is shows that we sometimes make our own hell by believing we are bad people and/or that we are stuck in a bad situation. The truth is that we are not in hell and we have a choice to free ourselves of the chains. 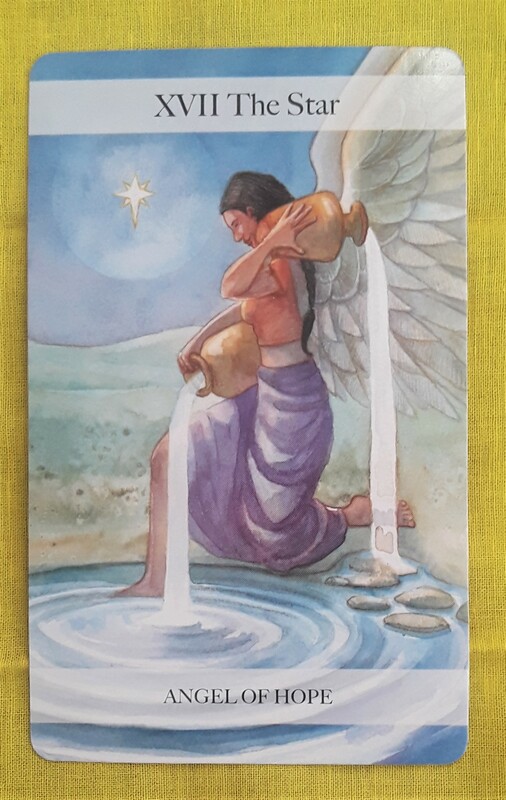 If you decide to make a change, the Star card urges you to have hope that things will turn out for the best. Hope is a shining star that lights up the darkness. So take it one step at a time and give it a try. 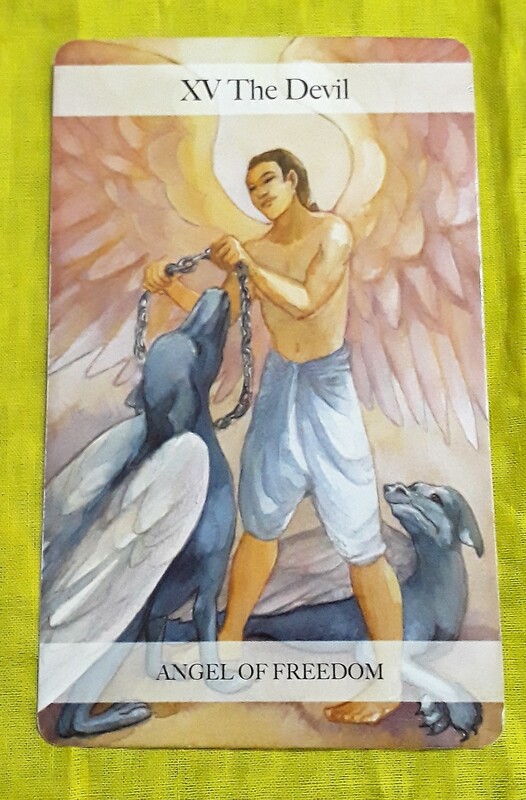 The card for today is the Devil. The Devil card is associated with the astrological sign of Capricorn. So it’s no wonder that it shows up today, considering we recently began the Saturn in Capricorn transit, today is the winter solstice (which occurs when the Sun is exactly overhead the Tropic of Capricorn), and tomorrow marks the beginning of the Sun in Capricorn. Capricorn has the reputation of being a take charge sign, an authority figure like a an employer or a parent. 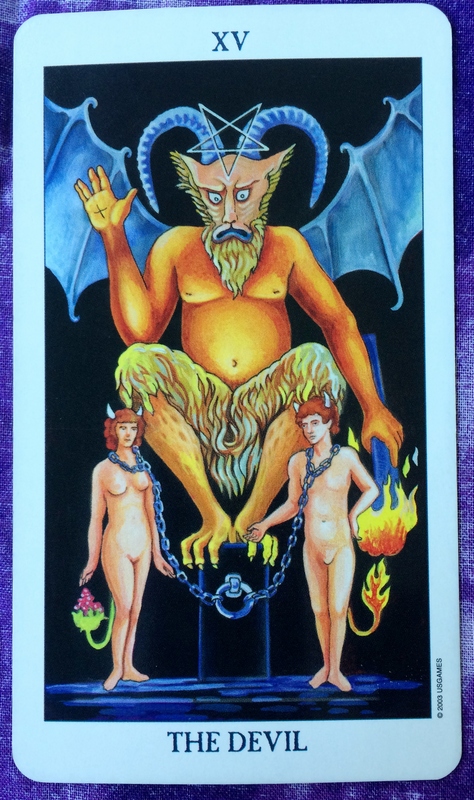 And the Devil card speaks of feeling enslaved or oppressed. However, this feeling of being bound and chained is an illusion. You actually have a choice at all times, even though you may not think so. So if you have any bad habits or addictions, whether it be to drugs, cigarettes, or coffee, it may not be easy but you can break free of these things. A job you hate? A relationship you hold onto even though you are no longer happy in it? Stuck in a rut simply because that’s the way you’ve always been doing things? No one keeps you in those situations except yourself. So today — on the darkest day of the year in the Northern hemisphere — dive into the darkness and expel your demons. And on the day that maintains the light the longest in the Southern Hemisphere, expose your demons to the light where they can be exposed and dealt with.